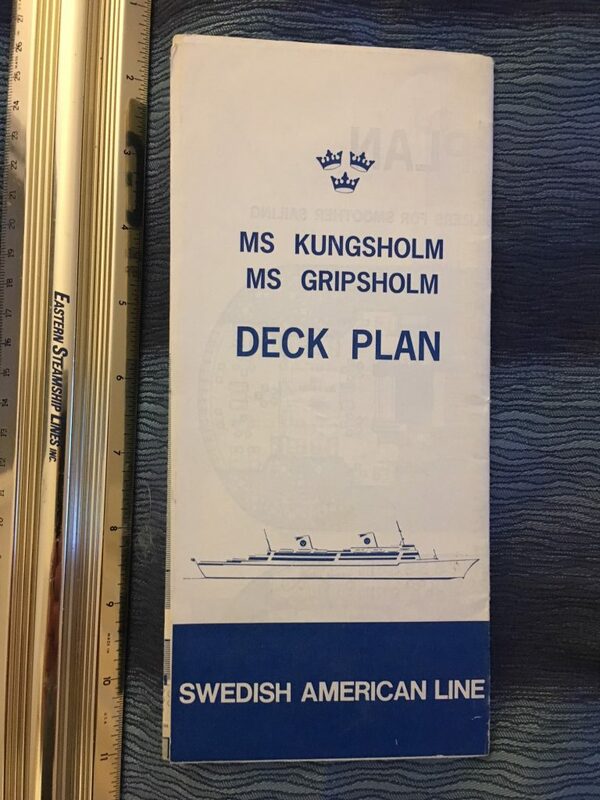 Great DP for Swedish American's last 2 ships ...the Gripsholm 2 and the Kungsholm 3. Both ships went onto many years of service after SAL terminated passenger services in the early 1970's. Printed on glossy paper in Blue and white.